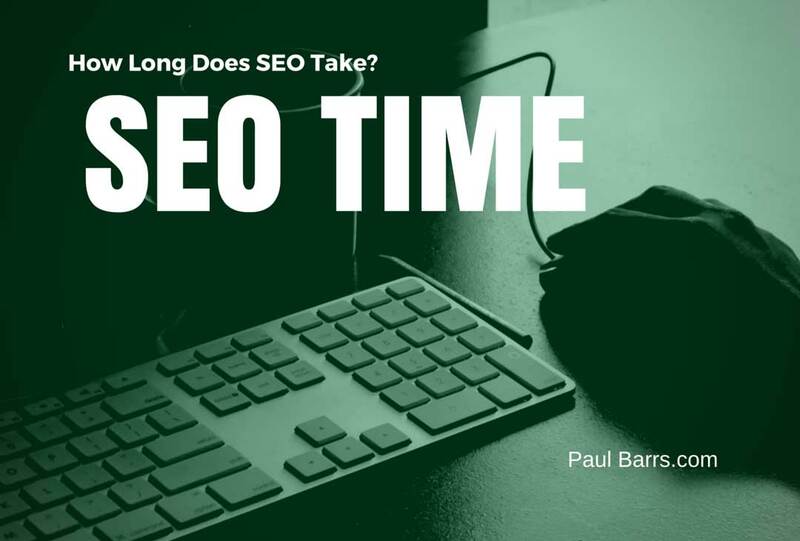 How long does it take to get results with SEO? Well, PPC is best for a new business, but with a steady SEO strategy, you can eventually remove your PPC completely. Here’s whats involved. Now today we’re talking search engine optimisation. How long should it take to get results from the work that’s being done for you? This is a question that I get asked a lot, and there’s a lot that I need people to understand is involved with SEO before I can really explain and answer that question for them. How long does it take when you write something, you get it on to your blog, and it’s indexed into Google? Look, if it’s set up properly, it’s a process that takes a couple of minutes. You write it, it’s indexed, Google comes and it’s in the index. But does that mean it’s found where you want it to be? Maybe not. So let’s look quickly at the different elements of SEO and what needs to take place for a solid SEO strategy, and then we’ll answer the question: How long does it take to see results? First things first. I’m assuming that everything you do is based on good, solid keyword research. You’ve done your homework. You know what people are looking for. You know the broad variety of keyword phrases within an individual topic, and that’s what you’re targeting on your website. I have to assume you’ve done that correctly. I also have to assume that you’ve done the other on-page SEO factors. You’ve gone through and you’ve optimised all of your meta data. You’ve gone through and you’ve optimised your internal link structure. You’ve gone through and you’ve looked at the different crucial elements from a technical aspect, responsiveness and others, and you’ve fixed those errors up. You’ve gone through Google Webmaster Tools, and you’ve looked at the different reports, and you’ve looked at the problems that you have and you’ve fixed them up. I’m also going to assume that you’ve looked at the first element of off-page search engine optimisation and you’ve looked at your current backlink profile and you’ve fixed it up. You’ve gone and removed all of the completely irrelevant, unnecessary links that are currently coming back to your site from places where they shouldn’t be. This is one of those things, it just happens over time that people link and the Internet marketers in the world out there use tools to scrape content and create automatic rubbish, which sometimes, if you’re lucky, will have a link back to you. Well, not so much if you’re lucky anymore, because that can be a bad thing for you. So I’m going to assume that you’ve done all of those different things and then you’re beginning, as we spoke about last week, with some ongoing content management and regular updates from a SEO strategy point of view. So how long will it take to see results in search? Well, it all depends how competitive the things are that you are searching for. There are also other factors that can be involved, the age of your domain name. How long have you been around? Do you have any authority yet? Other things, the quality of the content. Of course, I’m assuming it’s good quality content. I know if I’m doing it for you, it’s going to be blinking awesome content. You need to make sure whoever is doing that for you does it well. I’m also going to say and I’m assuming, I’m making a lot of assumptions here, aren’t I? And I’m assuming that you’re doing and producing new content on a regular basis. Assuming you’re doing all of those things, and these are things that I do for clients when I’m doing their SEO, which is why I have to make those assumptions. If you have all of those things in place and you produce some new content and you link it correctly and it improves the overall quality of your website, you can start to see ranking within a day or three. Of course, the Google dance, we’ll call it that, is sometimes pages will come up quickly and then go down. But if you haven’t done and aren’t doing any of those things, you’re starting brand spanking new, couple of months perhaps you might see a rush to the top and then start to balance in, but that will come up as you continue to work on your content strategy. I like to say to people that it’s at least minimum, minimum three to six months. If I’m doing some work with someone, I want six months. I want six months to start, because it’s going to take me a month or two just to fix up all the on-page crap and look at it and fix up the backlink profile as it stands. So I like to ask people for at least six months, and that’s for the moderate to more easy keyword phrases to be targeting. If you’re going to get into the more difficult things, those things which a lot more people are not just searching for but also competing for, 12 months. You see, organic search engine optimisation and strategy through your content management is not a quick fix process. If you want a quick fix, you need to optimise your content for conversions and then go to AdWords or Facebook advertising or Twitter advertising or some other form of bang, pay, get the lead, get the link and convert. That’s the only way to get it done quickly. But I have seen for the more difficult keyword phrases, I have seen those come through 12 months, 24 months. I’m not going to go into the details of it now, but when I looked at rebranding my business five or six years ago, to work more specifically in this small local business sector, I looked at different opportunities, and rightly so I went for the lower hanging fruit. That’s what you do. You go for the easy ones first. But I noticed three years later, three years later the most difficult keyword phrase that I really wanted to be found under in my business, but just no point in even going for it right up front, it took three years and now I’m page one. But that was because all of those assumptions that I make for your business, I do them in mine. It’s why now I don’t need to advertise. I don’t. I have no need to advertise at all to bring in new business, because I get what I want from SEO, and then I have processes in place to bring back referral business, to bring back repeat business and other things. How long does it take to get results from SEO? Look, if you don’t have a six month strategy in your mind, maybe you should just look at pay-per-click advertising, because search engine optimisation isn’t getting found for one thing. Here’s how people search. We’ll finish with this. Someone goes to Google. I need to learn about X. So bang and they might click through to your website. But chances are they are going to want to know other things about X, and if those things are not on your website, what are they going to do? They are going to go back to Google. Well, tell me about this part of Y, and then they’ll find someone else and go through to that website and so on and so on and so on. Here’s what you need to do. Your topical content within your website needs to answer not just that user query, but what is the intent behind the search, what else might they like to know. When you do that, not just through primary pages, but also through supporting blog post pages, also getting it out to the Web in many other different places, here’s the magic and how it works. I’m looking for X. Hmm, okay, click through. Maybe just a post. The conversions weren’t right. They didn’t read more. They go back. I’m also looking for Y. Oh look, the same search engine results, your website, are coming up for X, for Y, for Z, and for other different things within that topic. That’s when the magic starts to happen. How long does it take for that to happen? Six to twelve months, absolutely at a minimum. And for me, when I talk SEO, I’m not talking one page, your business name, bang you’re there. What a waste of time. I’m talking about you getting found for X. I’m talking about you getting found for Y. I’m talking about you getting found for Z. And not just that, on search for Google, but when they’re on social media and they’re talking about and they’re looking for things, you’re also coming up because you’re related to their mind, and you’re popping up in the right places. Maybe you’re using retargeting, and you’re also coming up in the advertising streams. The point is this. When someone starts thinking about wanting to be found for what you do, you need to start thinking to be everywhere. Not just that one thing. Does that make sense? How long does that take? Six to twelve months. 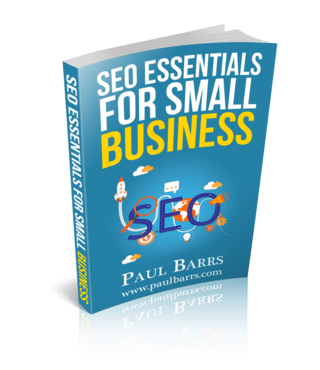 So you need to have a serious commitment for your SEO. Otherwise you’re just sort of putting your toes in the water. But if you want real results, it must be an ongoing process. That’s what I need you to understand. Okay, you have a great day. I’ll talk to you again real soon. Bye-bye.